Cool in a crisis: How all entrepreneurs can learn from ex-Fire-Chief Alan Quinton. Alan Quinton spent much of his life and career (over forty years) as a part of the Melbourne Fire Brigade. I believe there are five key leadership qualities that Alan has displayed over his career that any entrepreneur would do well to emulate. Alan Quinton outside the Melbourne Fire Brigade’s Western Suburbs base. Whether you’re the CEO of a large corporation, or the founder of your own small startup, I’m sure you’ve had days you spend rushing from one “emergency” to the next. Being an entrepreneur requires a cool head, but that cool head also needs to be at the ready to respond to a crisis. Alan Quinton spent much of his life and career (over forty years) as a part of the Melbourne Fire Brigade (MFB), in Victoria, Australia, serving as a member of senior management for much of that time. His intrapreneurial spirit served him well, and his problem-solving approach and positive attitude have seen him achieve great things over the course of his career. As Alan will tell you, some of his proudest moments have come from building up teams within the MFB and developing successful community outreach programs. If anyone knows about managing relationships within a large and complex organization, and how to best respond calmly in a crisis, it’s Alan. In my experience of working with Alan, I have found him to be authentic, calm, and super-relatable. So how can we absorb just a little of Alan’s collected wisdom and apply it to our own entrepreneurial pursuits? I believe there are five key practices that Alan has displayed over his career that any entrepreneur would do well to emulate. Satisfaction in our work is something we all aspire to, but all too often we forget that the answer lies not in self-interest, but something beyond, self-sacrifice. “We’ve saved well over 200 lives over the past 20 years. It’s just what we do, we’re there to serve the greater good of the community,” Alan says. Alan’s achievements have been recognized through two state awards in honor of his work with new migrant communities, and his efforts have cemented the MFB as an approachable, highly trusted organization central to the community. This has been of particular value to many who may not otherwise engage with those in the emergency services, according to former Maribyrnong City Council CEO, Kerry Thompson. One of the ways in which Alan ensured that everyone in the community could be safe was to partner with local media broadcasters in the Western Suburbs to get messages of fire safety to the local community. He also worked to increase safety for the elderly in the community, implementing programs of fire safety for many who may not be actively connected to the community. Giving (your time, your money, or your talent) is not just something to do once you have made it to the top – another feather to add to your cap – it is a way of life, and people like Alan Quinton embody this. “There’s a sense of passing on the baton, or the hose, and there’s a great deal of satisfaction to do that,” Alan says of mentoring the next generation of firefighters. 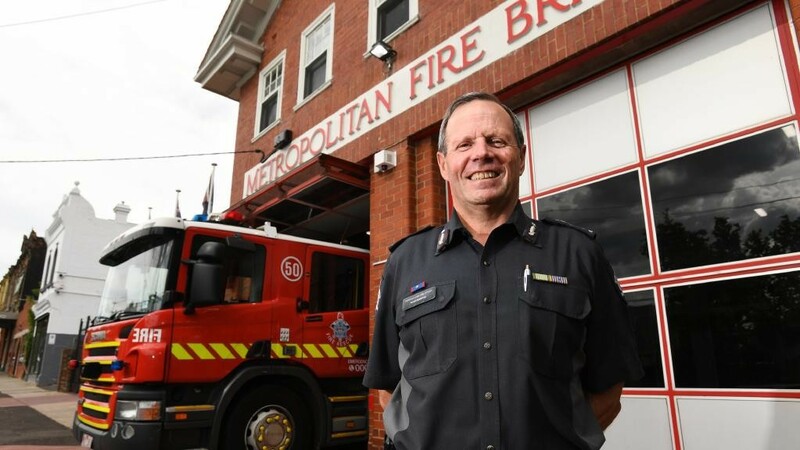 Throughout his career, Alan has worked not only to mentor and encourage others coming up through the ranks but also to continually improve the work environment at the MFB, leaving it as a better workplace for those who follow after. Even amongst those not actively contributing to the problem, there was a tendency for senior personnel to manage and lead their team or business unit without consideration for, or consultation with, others. As with many organizations today, the silo approach was very much the norm in Alan’s workplace. “I found that even as I sought a solution, I was stuck in this dysfunctional arrangement”. One of Alan’s most successful initial initiatives was organizing a luncheon for the group with a number of previous Chief Fire Officers. This event highlighted the fact that the problems facing the MFB were not new – many of the former Officers had dealt with the same issues in their day. From 2008 to 2012, Alan served as State Chair of the Chemical Biological Nuclear Explosive Committee, a group spanning Police, Fire, Ambulance, and Government Departments. Though it might seem natural that emergency services should collaborate, and also work closely with Government, all too often this is not the case. The committee was responsible for Victorian Government Hazmat and Urban Search and Rescue (USAR) capabilities, and a part of the International Quadrilateral Group (USA, Great Britain, Canada, Australia). This sort of interagency (and international) cooperation is something that all entrepreneurs and business people can learn from. Rather than viewing neighboring departments as the “competition”, adopting a mindset like Alan’s leads to greater growth through partnership and shared knowledge for all parties involved. “In his capacity, as ACO in charge of Western Zone MFBB, Alan has greatly improved the interaction between the services… and further cemented the interagency partnerships that we rely so much on.” Peter Smith, Senior Commander, Airservices Australia. At approximately 10 am on 23 March 2007, a large fire resulted from a vehicle accident involving three trucks and four cars in the Burnley Tunnel under Melbourne’s Yarra River. This accident resulted in three deaths, and almost 200 people were evacuated from the scene. Alan was the incident controller for this event, and the initial report that he received detailed the explosion as possible terrorist activity. “I initiated evacuation of all from the tunnel – many were watching what was happening and not aware that they were also in danger,” says Alan. Aggressive fire-fighting strategies were established to stop further spread of the fire, and crews were set up in sectors of the Domain Tunnel and at the other end of the Burnley Tunnel. Alan’s handling of the incident was later praised, and more importantly, prevented further injury or death as the tunnel was safely evacuated, and the fire brought under control. This type of handling of a crisis is becoming rare. As life places ever more demands on us, our ability to cope with stress decreases, rather than increases. The results of Australia’s Biggest Mental Health Check-In found that one-third of corporate Australia is suffering from some form of mental illness, with 36% suffering from depression, 33% from anxiety, and 31% from stress. The study further noted that 44% of females, and 34% of males use self-criticism as a primary stress response. So to say that we don’t have a problem seems a little ingenuous. Often times in business (and in life) we need to take a step back and assess not only our situation, but also our instinctive response to it. Rather than turning inwards, and utilizing self-criticism as a coping mechanism, we could all take a leaf out of Alan Quinton’s book, by recognizing that others rely on us doing our jobs well, and whilst self-reflection is helpful, over-used navel-gazing is harmful. We are all responsible for our wellbeing, and our focus needs to be directed in a “creating” manner if we are to succeed in working to the best of our ability for stakeholders, clients, and partners. Image Group International are Entrepreneurial Activists… Rebels With a Cause! Jon Michail, Founder and award-winning Chief Imagemaker together with his team at Image Group International helps executives and entrepreneurs to build, grow, and monetize their personal brands, (online and offline) by positioning them to stand out so they attract their ideal clients. They are committed to maximizing an individual’s personal impact, influence, and value in the ever-changing and disruptive business environment. Image Group International is recognized as Australasia’s leading personal brand image advisory, with over 29 years of proven results.